Invasive mountain goats now outnumber the isolated and increasingly vulnerable herd of native bighorn sheep in the Teton Range — and wildlife managers want to do something about it. 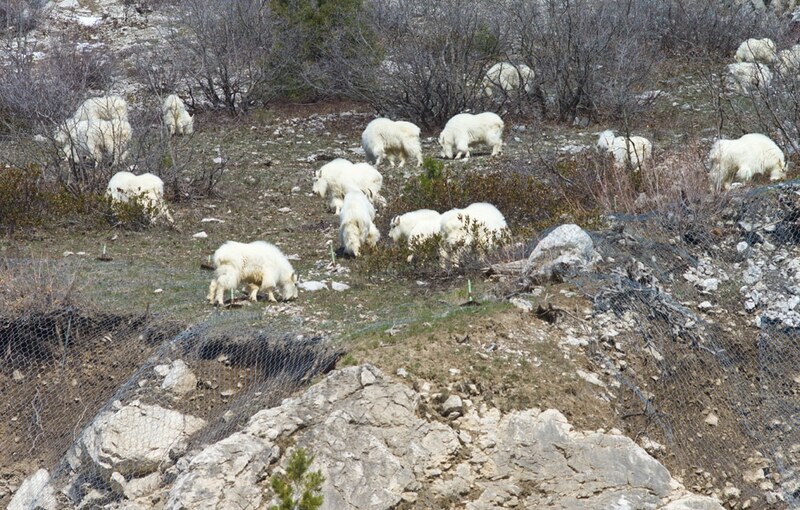 Wyoming Game and Fish Department biologist Aly Courtemanch discovered the new majority via aerial survey this winter, counting 88 non-native mountain goats and 81 native bighorns. The growing number of interlopers is spurring wildlife managers to consider lethal action. 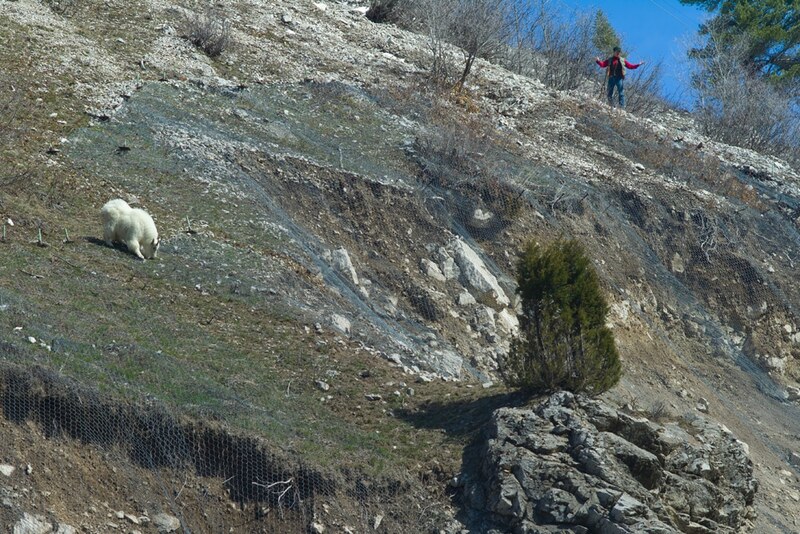 “We feel the presence of mountain goats presents a real challenge to preserving sheep in the future,” Grand Teton National Park biologist Sarah Dewey told a standing-room-only audience of 80 or so people last week. So GTNP is reviewing a plan to remove the invading goats, mostly by catching them alive but also possibly by shooting a presumably elusive minority. The park is charged with maintaining the landscape and wildlife unimpaired for future generations. But goats — which haven’t occupied the mountains for at least 3,000 years — are considered an unnatural threat because of diseases they carry and their overlap with sheep habitat. The population of bighorn sheep in the Tetons dipped to a low of 46 animals in 2016. They winter in high, dangerous terrain with little to eat. The group hasn’t migrated to lowland winter habitat for 70 years, a panel of experts convened at Bridger-Teton National Forest headquarters said last week. Meantime, a growing number of backcountry skiers deters the animals from using 30 percent of the remaining winter mountain habitat in the southern Tetons, according to radio-collar data a panel of experts presented to the public last week. As a result, the herd of Rocky Mountain bighorn sheep in and around Grand Teton National Park remains genetically isolated and vulnerable to being wiped out, the wildlife experts say. End of a storied bighorn sheep hunt? 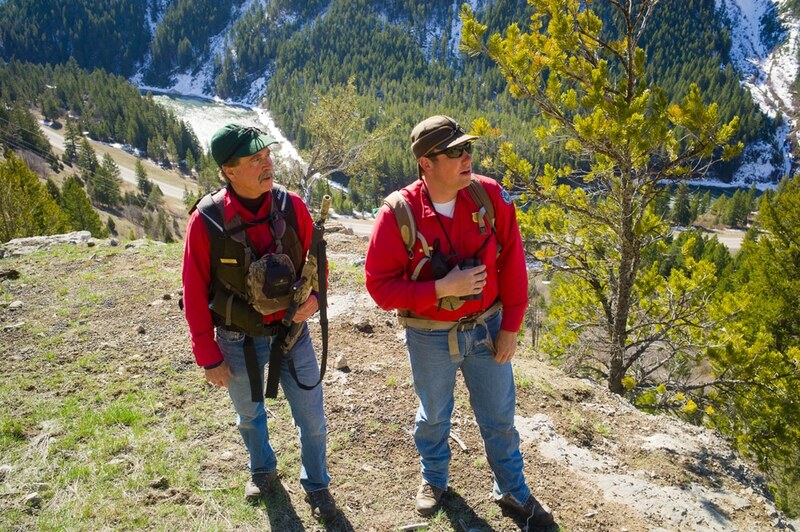 As Game and Fish targets mountain goats, Courtmanch suggested temporarily stopping a traditional bighorn sheep hunt in the area. Hunters have killed 15 rams at the southern end of the Tetons, a picture-book high-altitude landscape, since 2000, agency documents say. That’s left a dearth of legally huntable rams and contributed to worries about genetic sustainability. “Game and Fish might want to consider eliminating the current [bighorn sheep] hunting season, at least for a time,” Courtemanch told the group. She addressed and audience gathered to hear the panel that included some of the nation’s top sheep and veterinary disease specialists. After convening with the Teton Bighorn sheep working group during the day, the expert group told the public it had settled on preserving remaining habitat as a priority. The group also recognized overwinter survival as a critical component to the herd’s persistence. Other goals are preventing the transmission of respiratory diseases, like pneumonia, and supporting Grand Teton National Park and Game and Fish programs addressing invading goats. The Idaho Department of Fish and Game transplanted the now-troublesome goats to the Snake River Range just south of the Tetons starting in 1969. The goal was to establish a population that could be hunted. Goats expanded into Wyoming and eventually moved north into the Tetons and the national park. 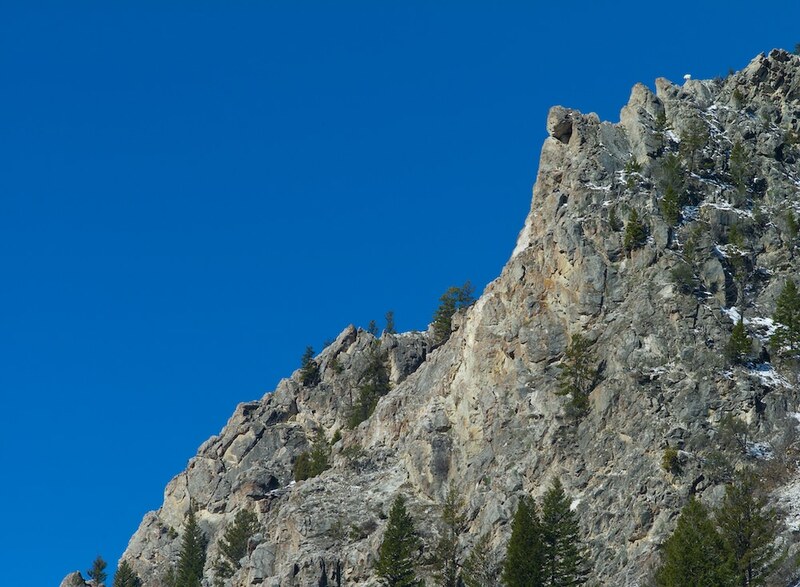 Wyoming Game and Fish draws the sheep/goat divide at Teton Pass above Wilson. South of there, Wyoming wants a quality goat herd. Without significant countermeasures, 300 to 400 goats could populate the Tetons, Bob Garrott, a faculty member from Montana State University told the audience. While goats in the Tetons today don’t carry the pneumonia bacteria most virulent to bighorn sheep, they could bring it in, said Peregrine Wolff, a wildlife veterinarian with the Nevada Department of Wildlife. “At least take that risk factor off the table,” she urged the audience. The bacterium Mycoplasma ovipneumoniae breaks down sheep defenses and invites other infections in, said veterinarian Tom Besser, a Washington State University professor. That makes it “a big deal for bighorn sheep recovery in the U.S.” Infections take out an average of 50 percent of a herd, he said. Any infection among the Teton bighorns, “could really tip them over,” Besser said. But there’s little hope of finding a vaccine. One troublesome domestic pig pneumonia, for example, has been the target of researchers for 40 years, Besser said, but without success. Conservationists and land managers eliminated domestic sheep grazing on National Forest land west of the Tetons in 2004, Wyoming Wild Sheep Foundation Executive Director Steve Kilpatrick said. Domestic sheep are a dangerous disease vector, and removing them cost hundreds of thousands of dollars in grazing-allotment buy-outs. Conservationists are loathe to cede such hard-won gains for wild sheep to the invasive goats. Teton sheep have persisted while those in the nearby Snake River Range and Idaho’s Big Hole Mountains faded away. Because of these pressures, “the winter range they do use takes on a greater importance,” Dewey said. That’s where skiers come in. Human recreationists travel in increasing numbers into the backcountry, climbing peaks from the valley floor or taking off from the Jackson Hole Mountain Resort bordering the park to the south. Parts of Grand Teton National Park are off limits to skiers at certain times of the year. The national forest where many bighorns still live remains largely open to skiers. “There’s a lot of opportunity for potential disruption,” Courtemanch said. “Teton bighorn sheep are extremely sensitive to human activity in the winter time. The experts displayed a map of viable winter habitat just south of Grand Teton National Park overlaid with skier and sheep activity, tracked by electronic devices on both species. Few sheep entered the skiers’ zone. There has been “about 30 percent loss of habitat in the area where they live,” Courtemanch said of the sheep. As a result, she said, they need a bigger-than-normal range, have to move more and expend more energy. Wolff likened bighorn habits to those of a pedestrian in a troubled neighborhood. Once they have a bad experience in a location, they stay away. Unless they are habituated to a human pattern of behavior that’s unthreatening, they will avoid people, she said. Skiers may feel they are not a bother to sheep because they don’t encounter bighorns, she said. People may be confounded because they see bighorn sheep in places like the National Elk Refuge where they flock and lick mineral accumulations off the fenders of visitors’ vehicles. In the backcountry, however, sheep that rarely and irregularly encounter people will likely take off. The panel welcomed the observations of an audience member who said he skis beyond the Jackson Hole Mountain Resort boundaries frequently, sees sheep and doesn’t disturb them. They’re even bedded down near the tram dock at the top of the ski resort, he said. A wildlife biologist for the Bridger-Teton National Forest, Jason Wilmot, said ski resort officials have worked well with his agency on sheep issues. “We can go ski and have sheep too,” he said. Bighorns survive the winter on their fat, which can make up as much as 30 percent of a sheep’s weight, said Tom Stephenson, leader of the Sierra Nevada Bighorn Sheep Recovery Program in the California Department of Fish and Wildlife. Bighorns gain weight during the summer and fat dwindles as the animals use up reserves to survive the winter. When fat dwindles to half a percent, sheep die. Habitat is key to building up fat reserves for winter survival said Tom Lohuis, a Jackson Hole native who studies Dall sheep, a Rocky Mountain bighorn cousin, in Alaska’s Chugach Range. He’s found “nutritionally stressed animals” there that starve to death instead of succumbing to predation, the common demise of Dall sheep in the nearby Alaska Range. Chugach survival depends on how big a sheep’s “bank account” of fat is going into winter, Lohuis said. 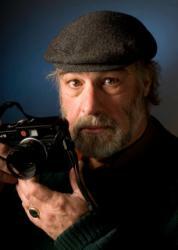 But a changing climate may present challenges for Chugach Dall sheep, he said. Warmer summers may curtail the period during which plant growth produces the most nutritional forage. Also, the shrub line of woody plants, which sheep don’t eat, is moving upslope a meter a year. On a mountain that holds less and less acreage, the higher one goes, habitat shrinks accordingly. 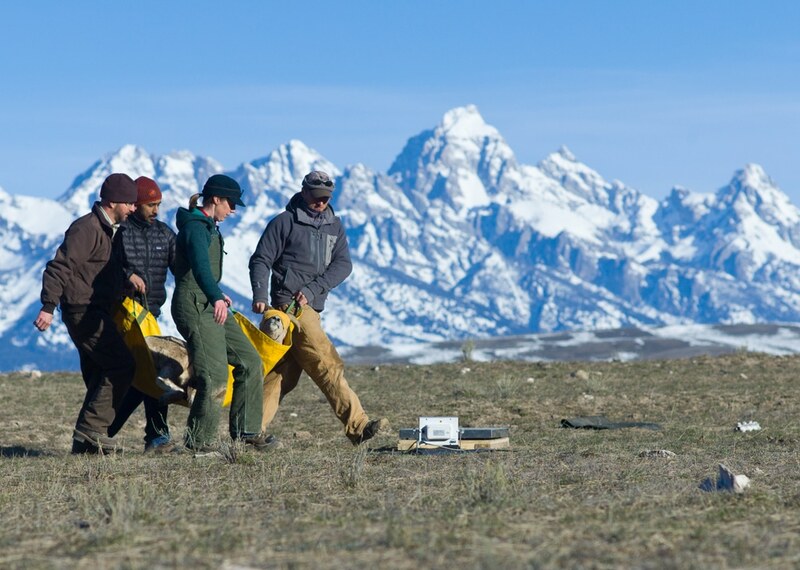 The Teton herd, being native to its range and never supplemented with transplants, may have unique adaptations and habits specific to its home territory, said Clint Epps, an associate professor at Oregon State University. “We’ve got to keep that population large and stable,” he said. To ensure genetic diversity and persistence, there should be at least 500 sheep in the herd. Managers should strive to connect northern and southern parts of the population, he said. The two are largely separate, to their long-term detriment, he said. Reestablishing old migration routes to traditional lowland wintering areas in the Tetons also would be difficult, Stephenson said. Forests have grown over some former bighorn habitat and it would take significant natural forest fires — more than select human-induced prescribed burns — to reconnect historic haunts. The San Francisco peaks in Arizona would be a great transplant area.. working with AZGFD might be difficult. There are no big horns on that mountain, goats would be a nice alternative.. This is an important article. However, I disagree with the statement “…goats outnumber native Bighorns….” because one count of 88 goats vs 81 Bighorns does not approach certainty that goats are now more numerous. I feel badly because this small quibble is a thorn in an otherwise important and well done essay.